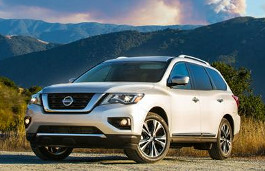 Correct Wheel Sizes, PCD, Offset, Rims and Tire specs for Nissan Pathfinder series. 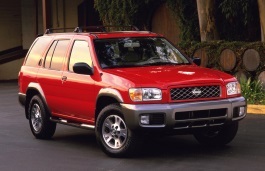 Stock wheel backspace and offset for 2003 Pathfinder LE with 17"? Hello. 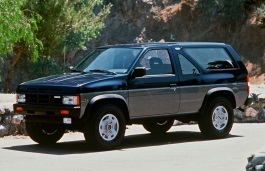 am I able to put wheels with a -19 offset on my nissan pathfinder 1996 ? 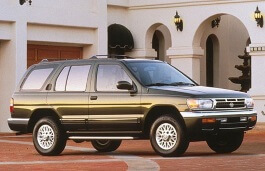 Will a set of rims from a 1997 pathfinder model fit my 2001 model? 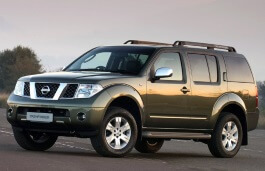 Error in database Nissan Pathfinder 2014 ? I believe the specifications on the website for a 2014 nissan pathfinder are incorrect. Tire size on my SV model is 235/65R 18. According to the Nissan website the 2014 either come with 18 or 20 inch tires; not available in 16 or 17 inch. Can you please check? 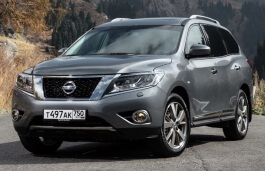 2014 are a 5 BOLT PATTERN NOT 6.
hi I have a Nissan pathfinder 2014, what size of tires should I use other than the original as they are not available in the market in my country. 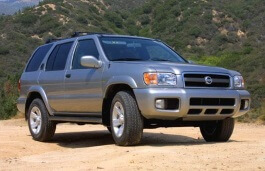 Hi, I'm looking for rims for my 2001 Nissan Pathfinder. Right now I have oem rims on, and the rims I found tells me they are 16x7, bolt pattern 6x139.7. They also have a backspace of 4 inches and bore diameter of 108 millimeters. Not sure what those 2 last things are/mean. Would you be able to tell me if they will fit? Hi,Kyle,The backspace means the distance from the back fix disk to the edge of wheel.You can check http://www.teufert.net/wheels/back/backspace.htm.But usually,We use the offset data to instead of And “Bore diameter” means the diameter of center bore.According to your data,You oem rim can fit on. 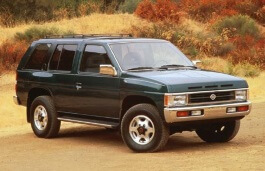 Hi: would a set of 17" wheels off a 2006 Nissan Navara fit onto a 1997 Toyota Landcruiser? Error for 2001 Nissan Pathfinder 3.5 SE 255/65 16x7 rim offset. The database says +10mm, but the correct number is +20 mm. Will a factory hummer h3 16 wheel fit a 1998 pathfinder? Hi,Jamie mccraw,The bolt pattern for Nissan pathfinder have two different size(6*139.7 and 6*114.3),You need to confirm it first. Hi what is the stock offset and backspacing on a 2003 pathfinder rim?